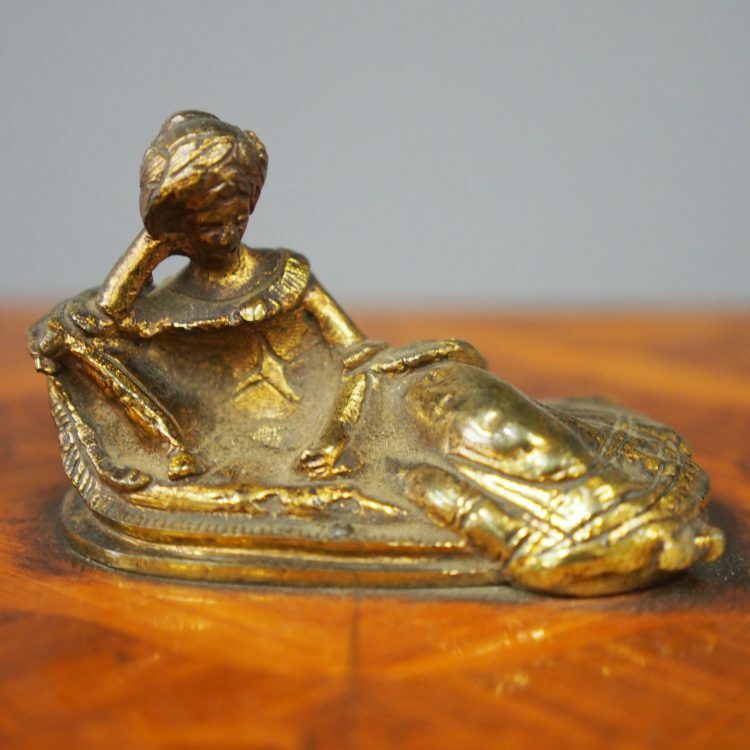 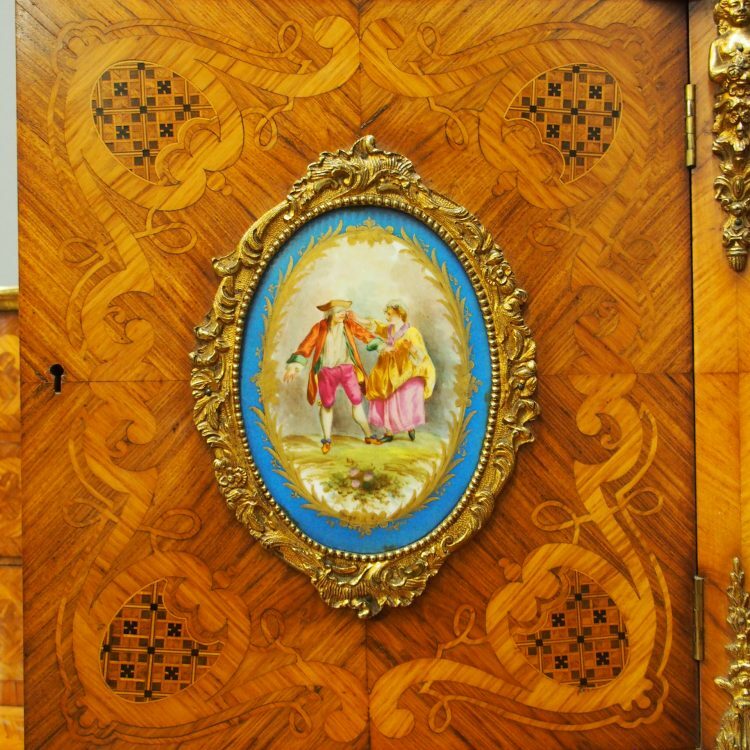 Circa 1870, exhibition quality French Bonheur du jour. 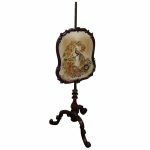 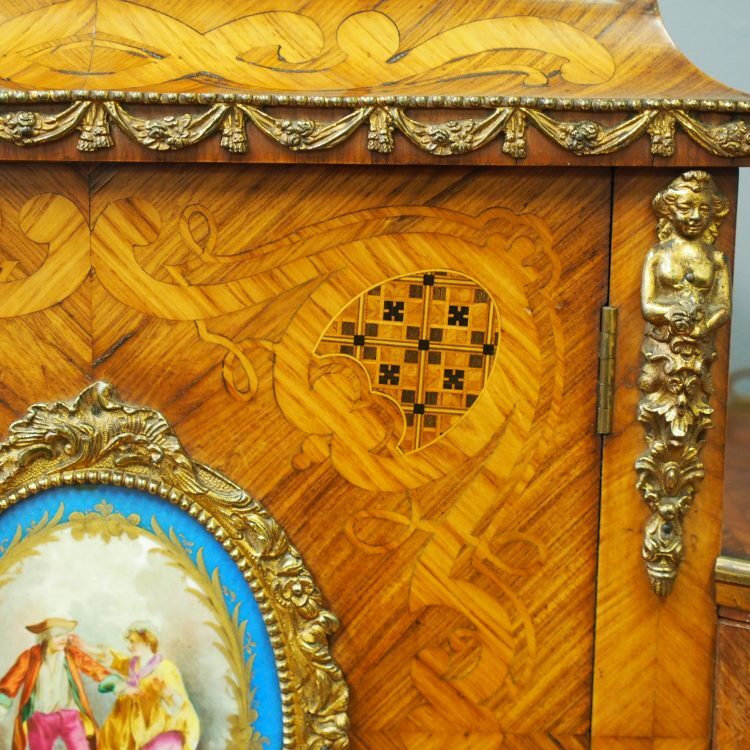 With domed top surmounted by gilded figure, and a surrounding fretwork around a combination of fine beaded marquetry and parquetry. 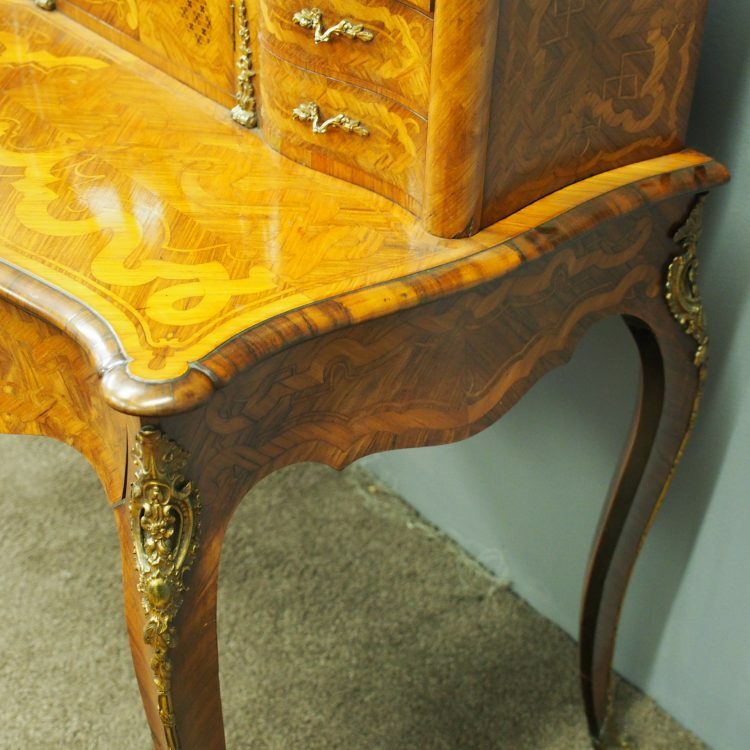 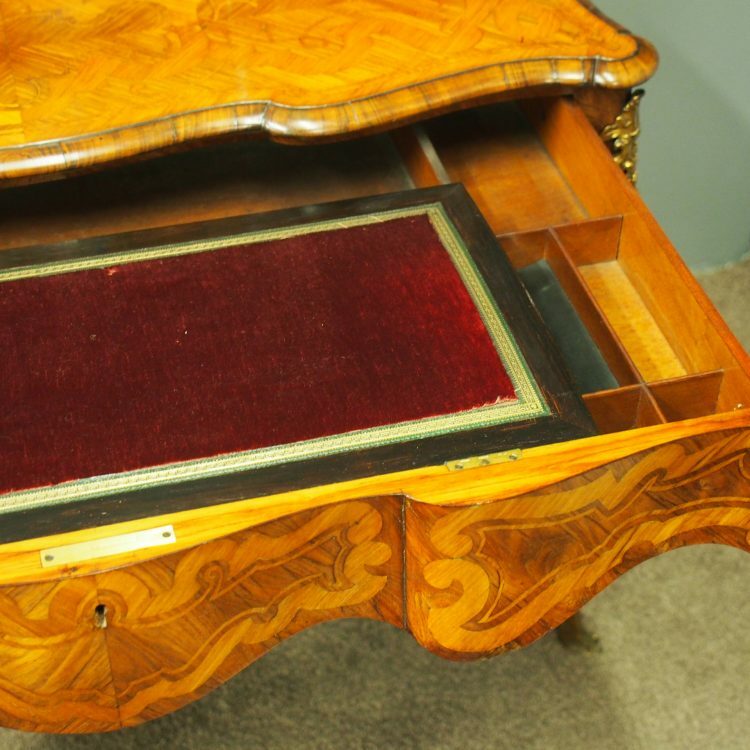 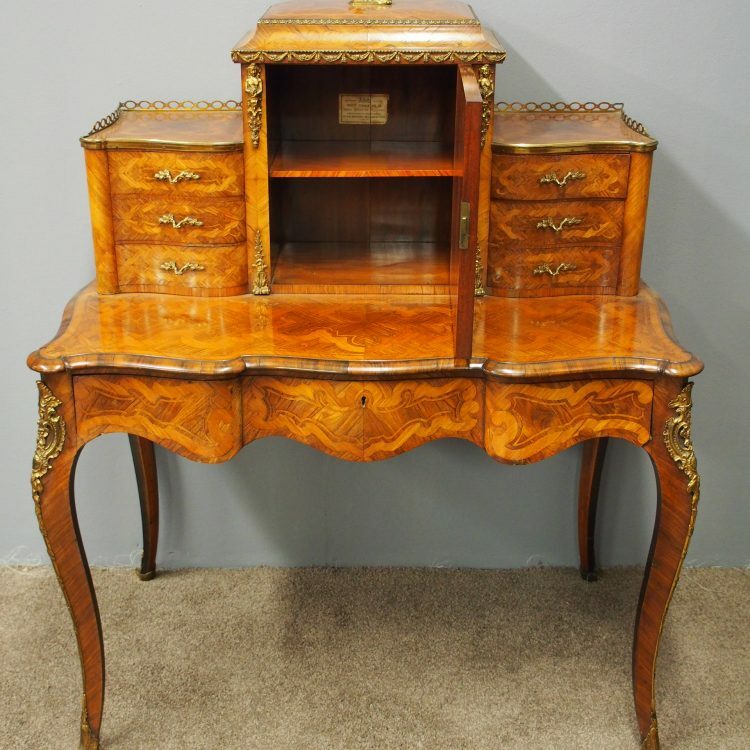 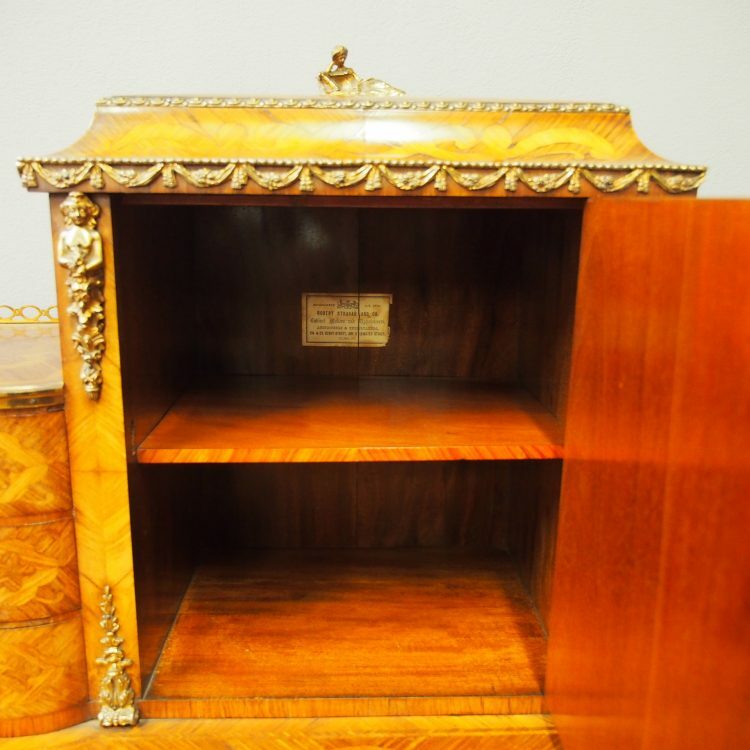 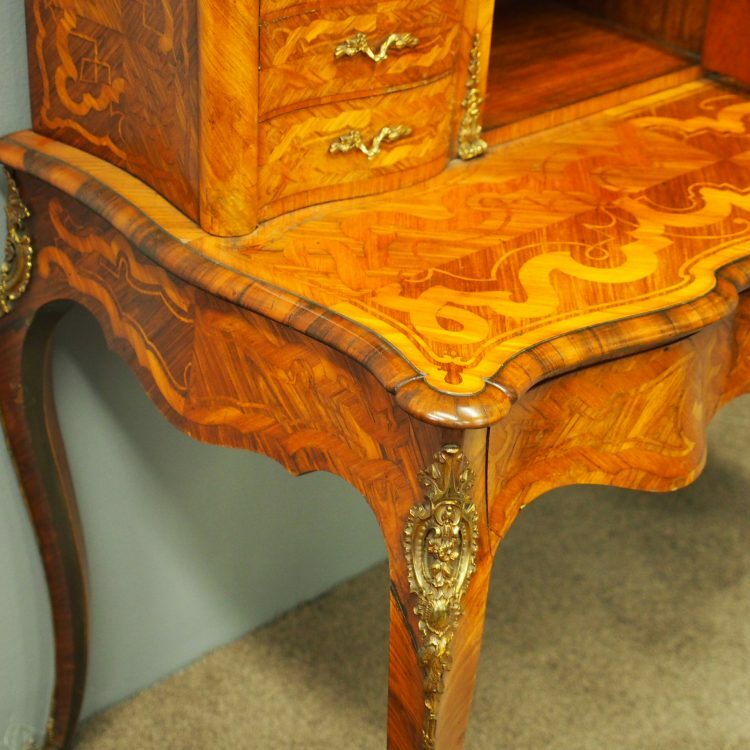 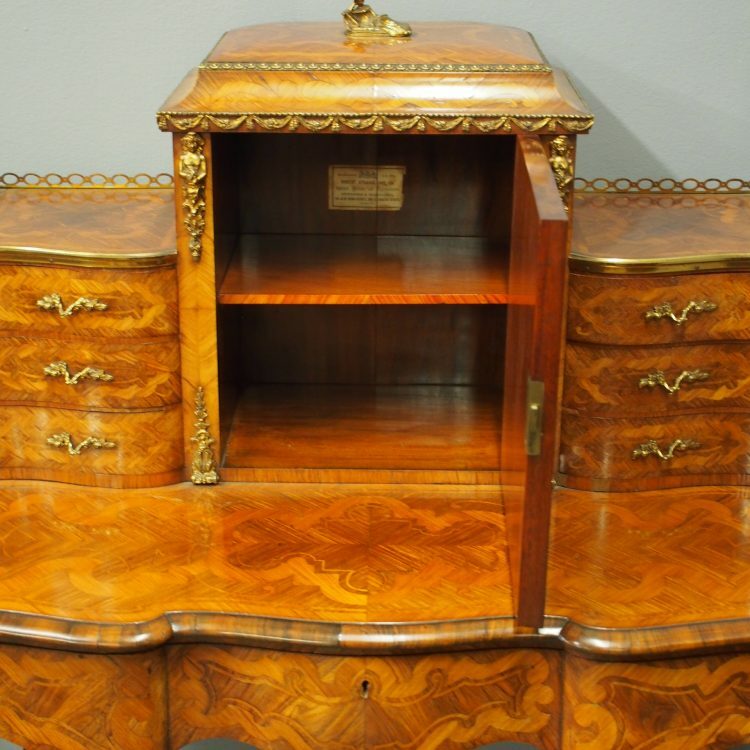 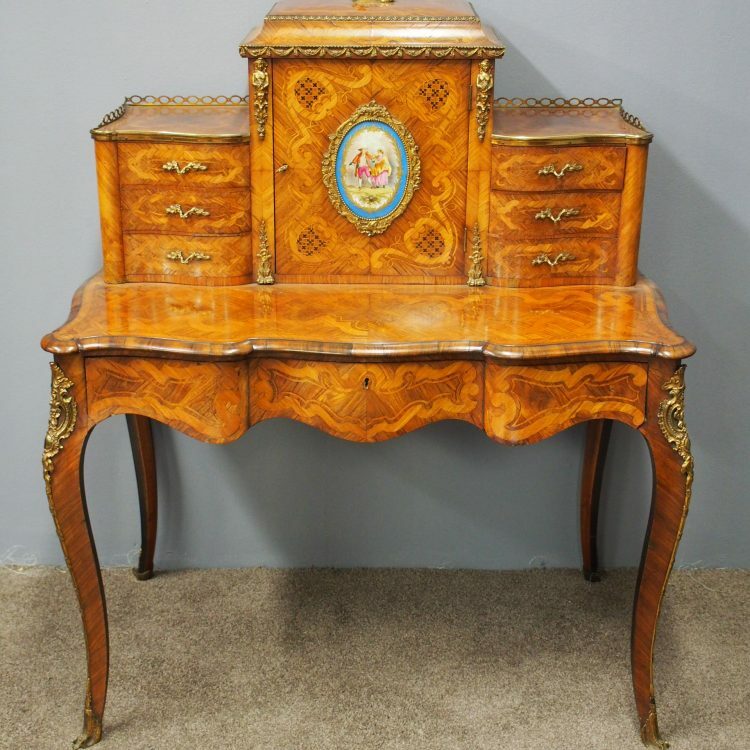 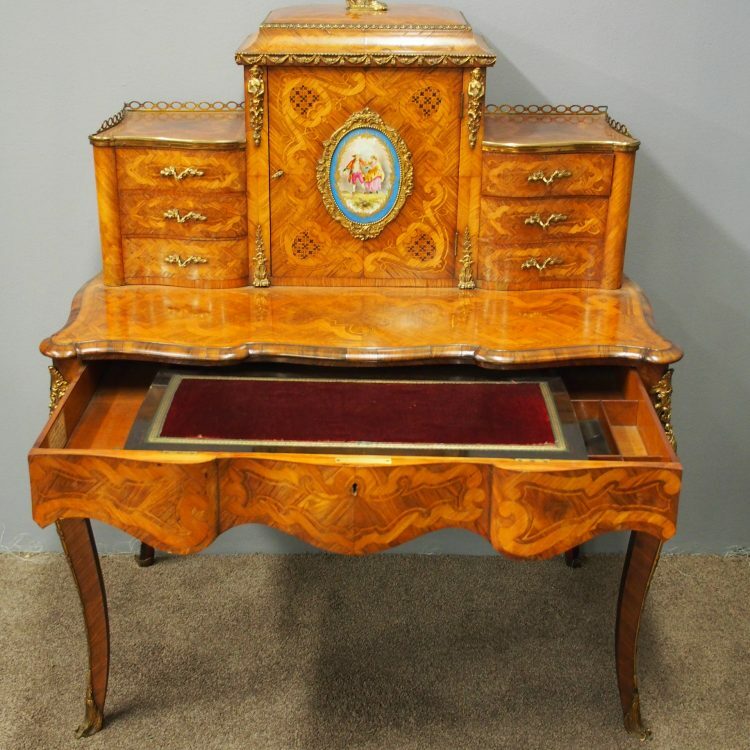 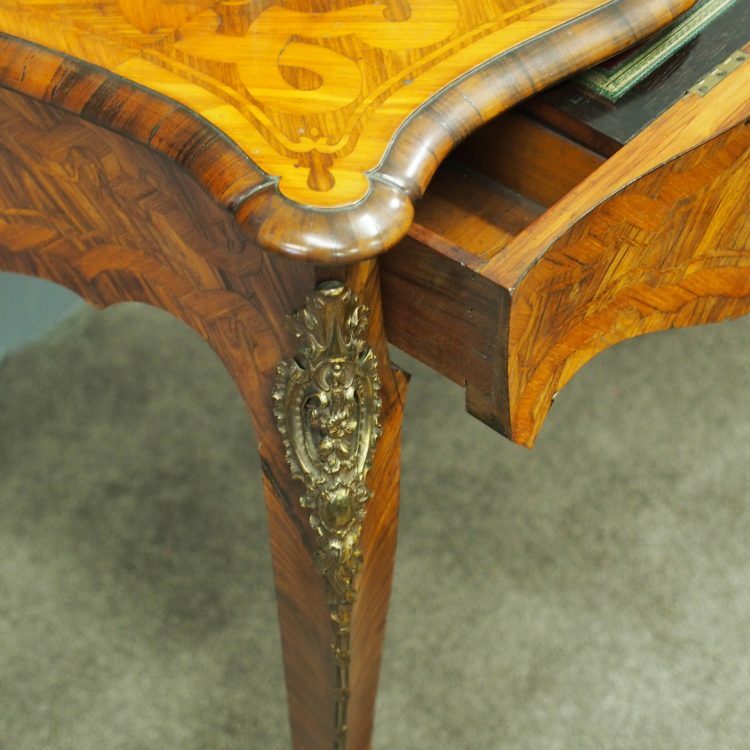 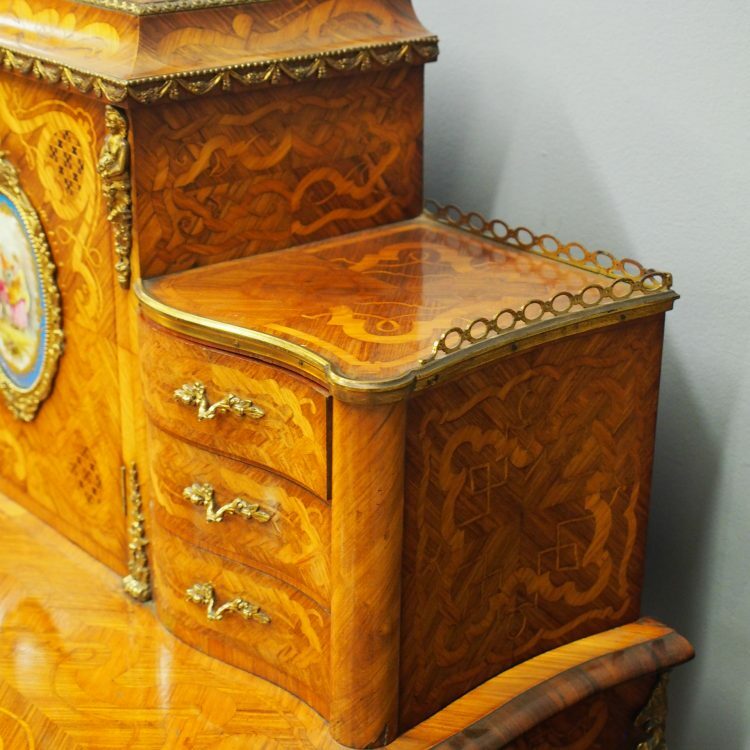 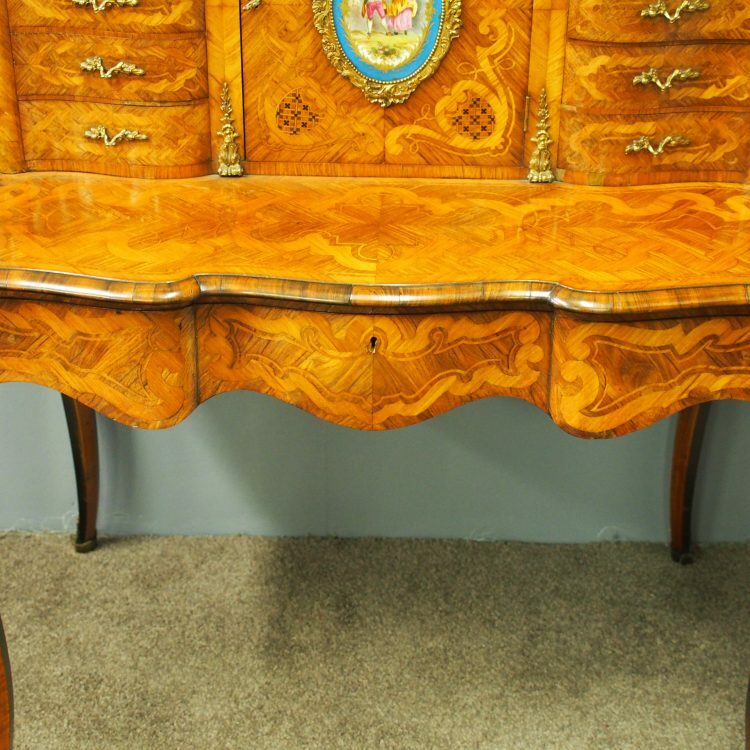 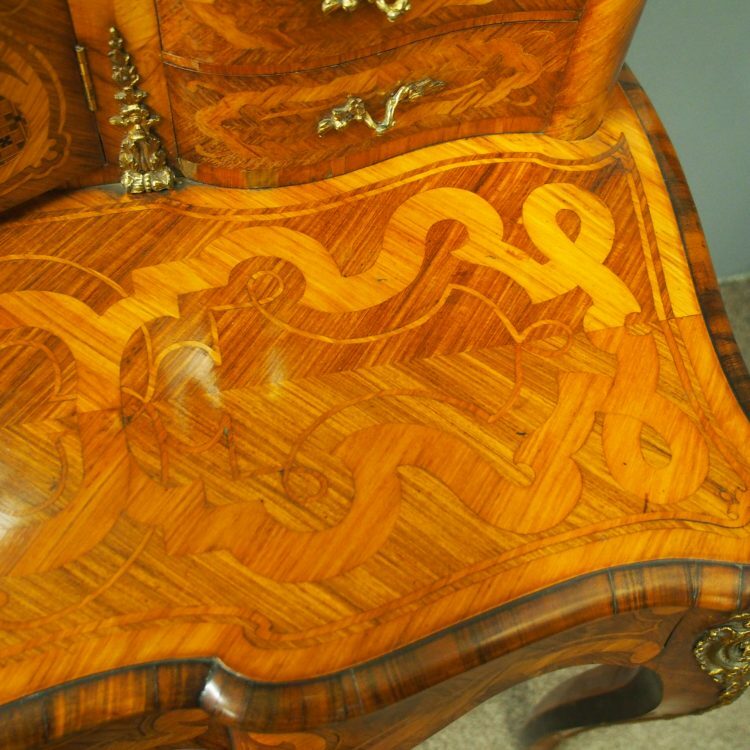 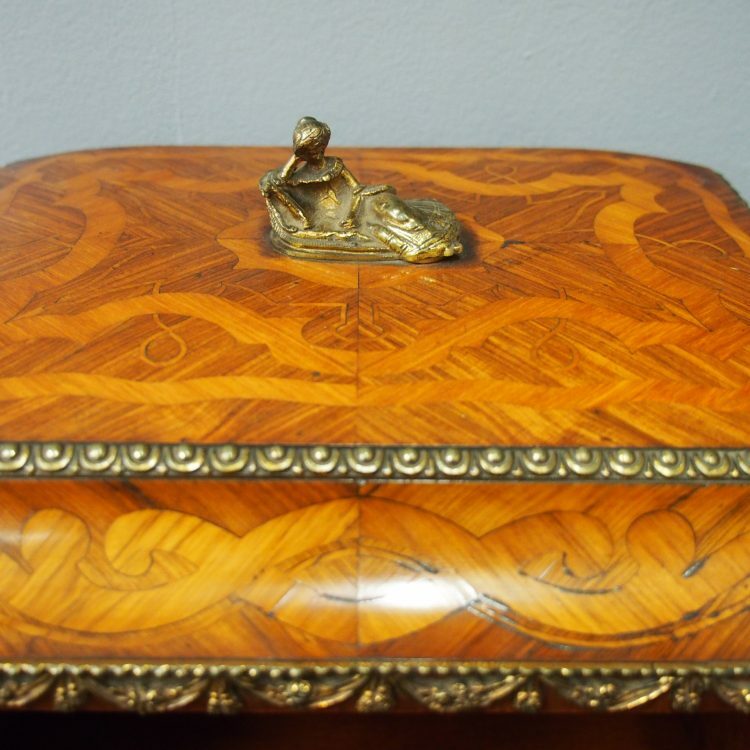 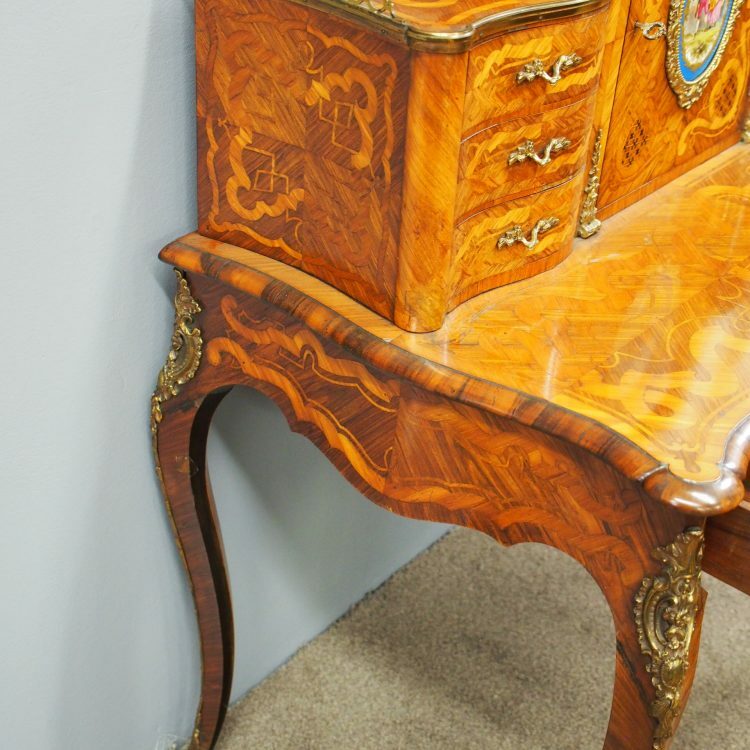 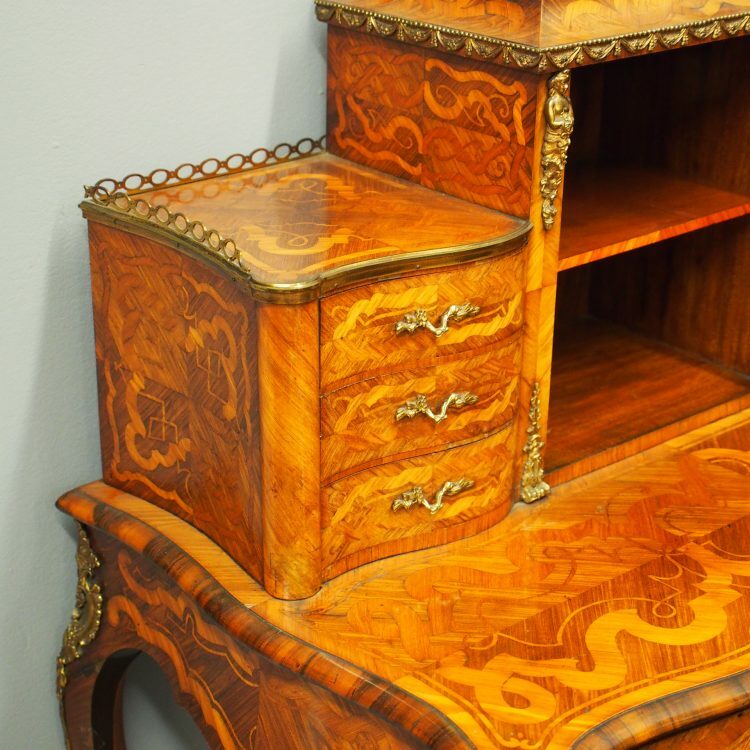 The front, central door has a Sevres style panel, and inside is a single shelf and 2 banks of 3 drawers. 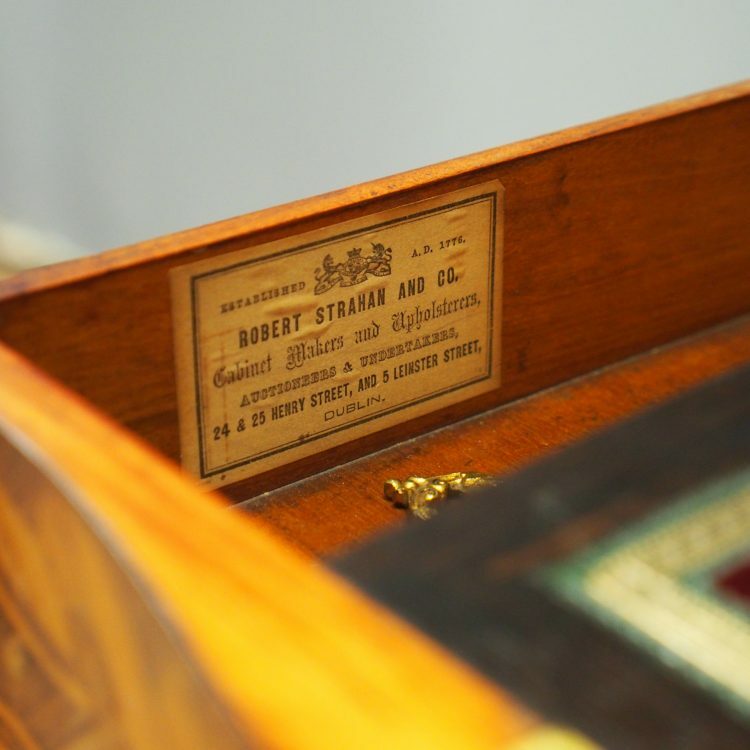 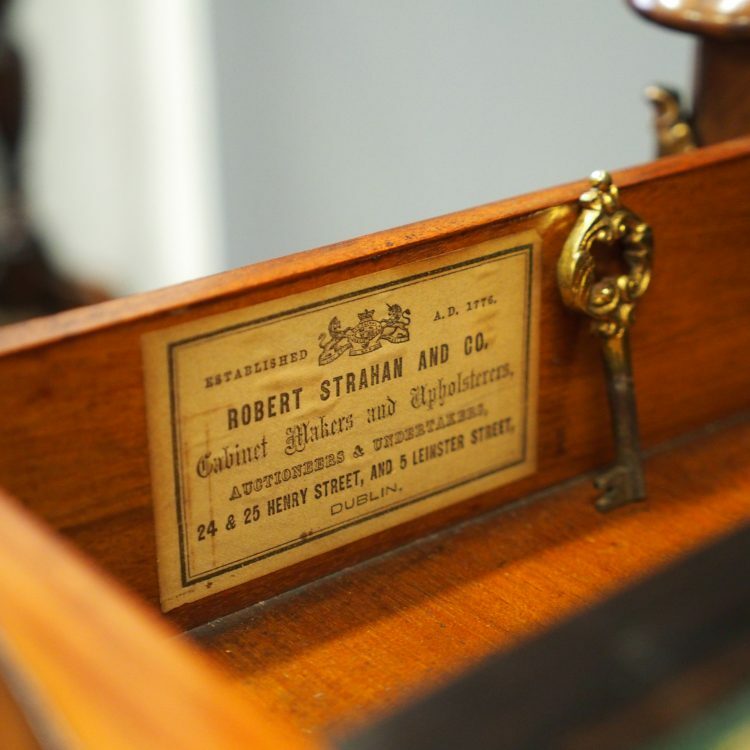 The top left drawer has a makers label of Robert Strahan and Company, Dublin. 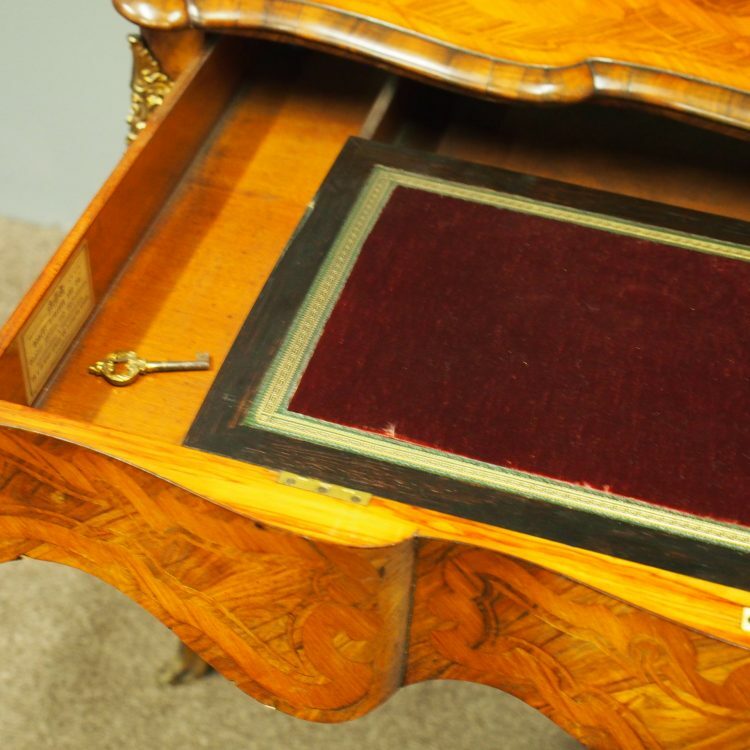 Beneath this is a single drawer with writing slope and sections for stationery, and a cross-banded kingwood fore-edge. 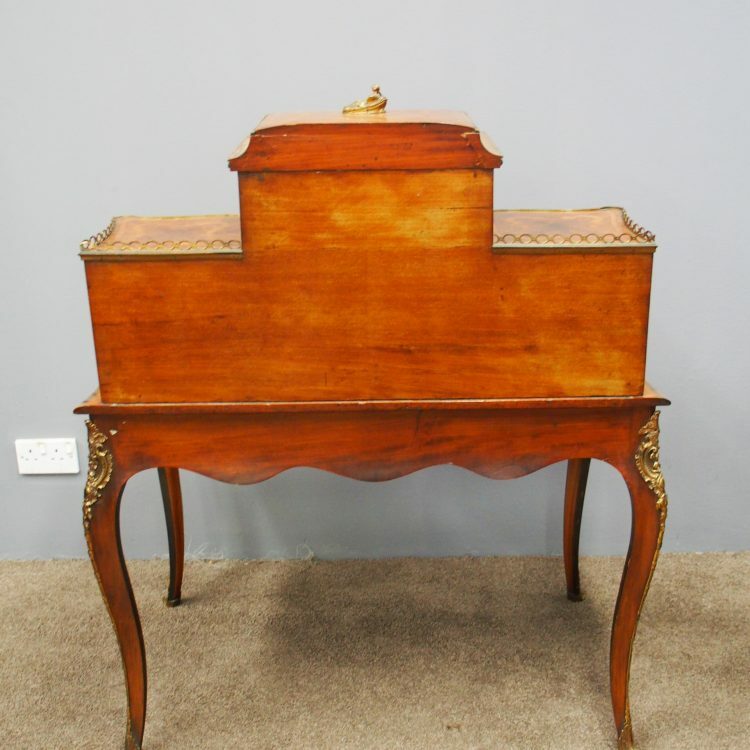 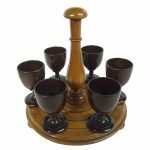 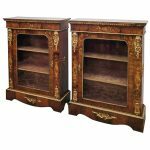 It all stands on tall cabriole legs with gilt mounts and finishing on cast sabots. 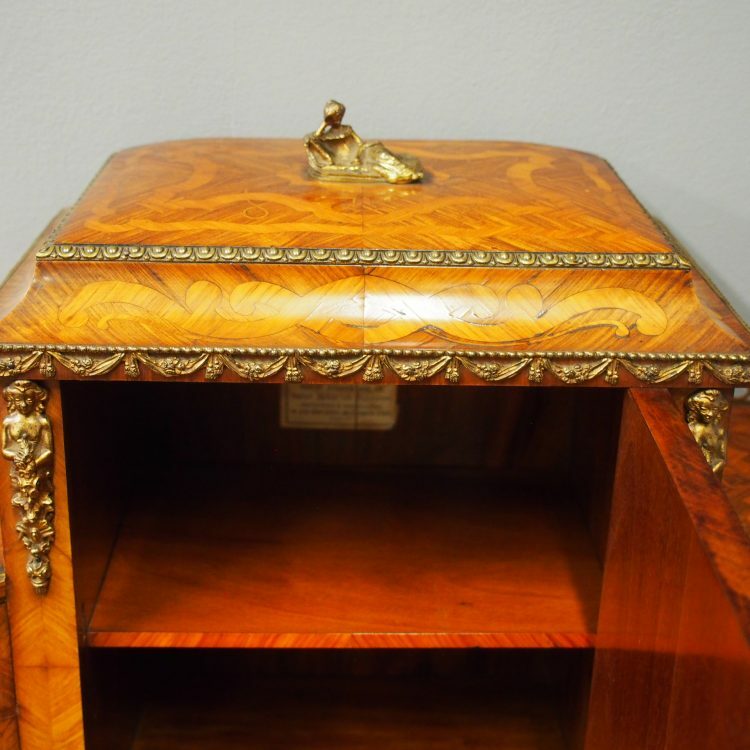 Polished to all sides (freestanding).